Our award winning burgers are amazing as they are, but we’ve got a little zesty addition to make our caramelised onion and cracked black pepper chicken burgers sing a little louder! A simple zesty lemon mayo. Try this simply recipe and load up your burger into a thing of beauty. Oven, fry or BBQ your chicken burgers until cooked through. Mix the mayonnaise with the lemon juice and zest, add salt to taste. Lightly toast the ciabatta buns and add a spoonful of the lemony mayo onto each half. Pile up your burger and salad – voila! 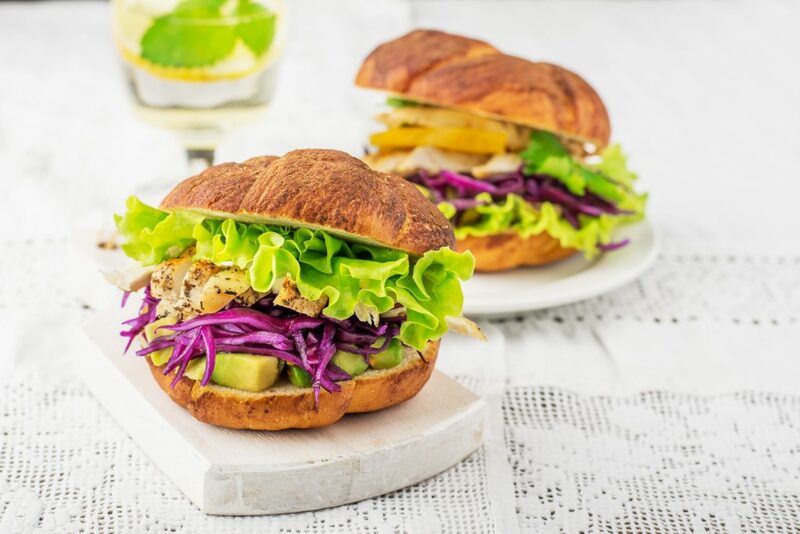 A zesty chicken burger to make mealtimes more exciting.